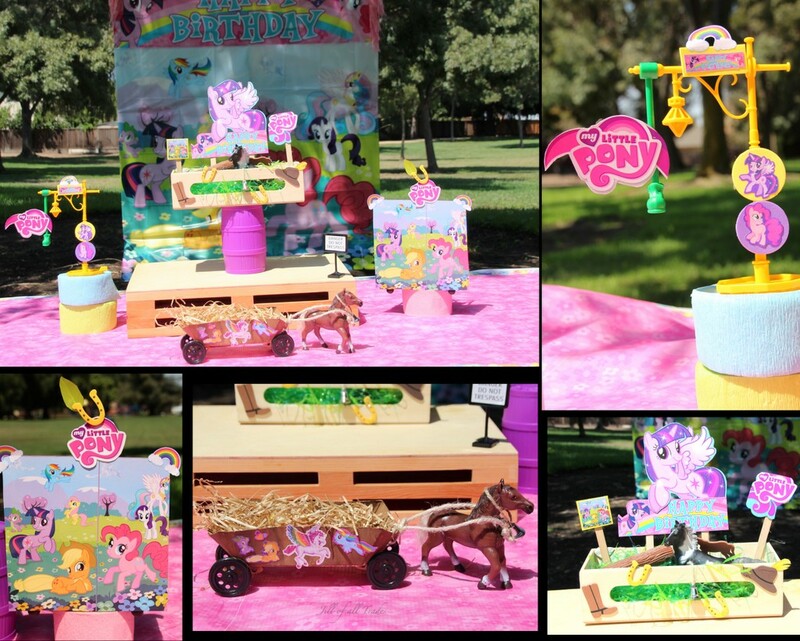 Giddy up and gallop on over for a pony adventure! 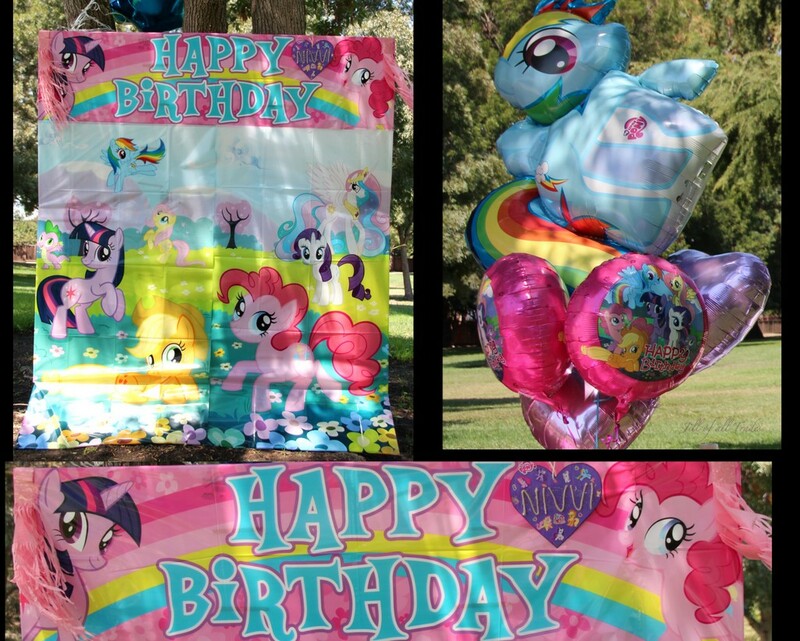 "My Little Pony- Friendship is magic" was the little birthday girl's all time favorite. Once the theme is decided its easy to take it from there on to create beautiful memories to treasure forever. Being outdoors the backdrop was the mane apart from the return gift wapping to the custom made tags to go alone. The ice cream sundae stall and the Blueberry infused drink (recipe is coming up next on my blog) was another huge hit in this party. Although the theme is standard, chose to incorporate the cowboy/cowgirl theme as well. A mix of both rainbow dash of colors and splashes of brown shades were pulled together in this decor. 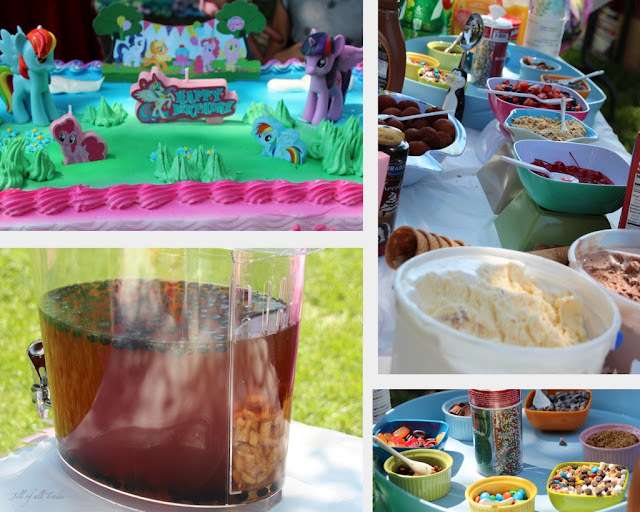 The centerpieces were created using the little pony props lying in the toy box and some cut outs were the pony's cutie marks. Made the carriage using hand painted paper bowl and attached to wooden sticks for a stable base to fix wheels on. Setting up the backdrop was the risk I took for some grandeur. Due to lack of time, simply opted for the same themed backdrop available. But the challenge was how to set it up with no walls... Gave thoughts and came down to two options being Foam Poster boards and Plywood. The later would have been easier if the required size was readily available at the store. Instead of entering into carpentry, purchased foam boards and attached them together with tape. Since it took approximately 7 poster boards, doubted if they could all stand up well for a longer period of time. 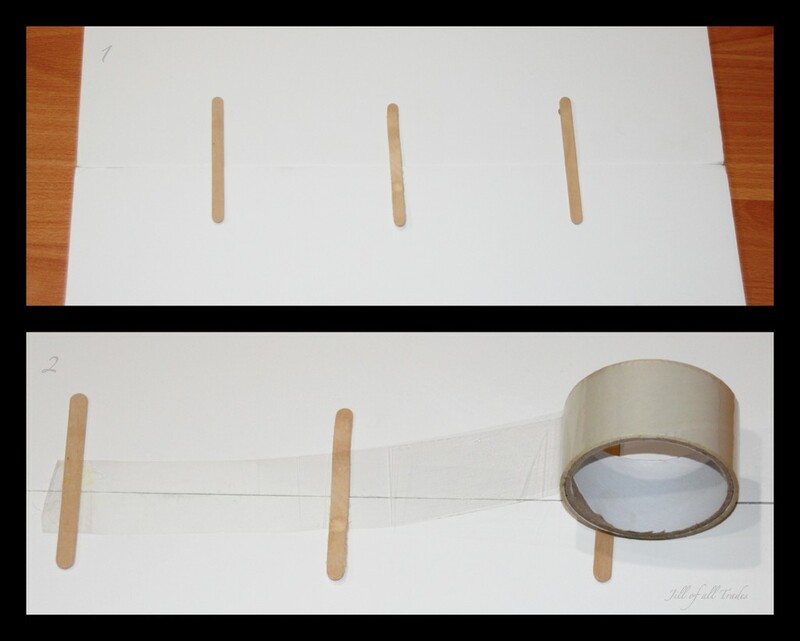 The solution was to attach popsicle sticks and tape them to give a good support. This trick worked like magic as the theme goes - "Friendship magic". Considering the windy atmosphere the backdrop was leaned towards a tree trunk in this case, and used punching machines to make holes on its sides to tie it around to secure it well. You may also use a stand or even clothes drying stand without casters to support and hold the backdrop in place. 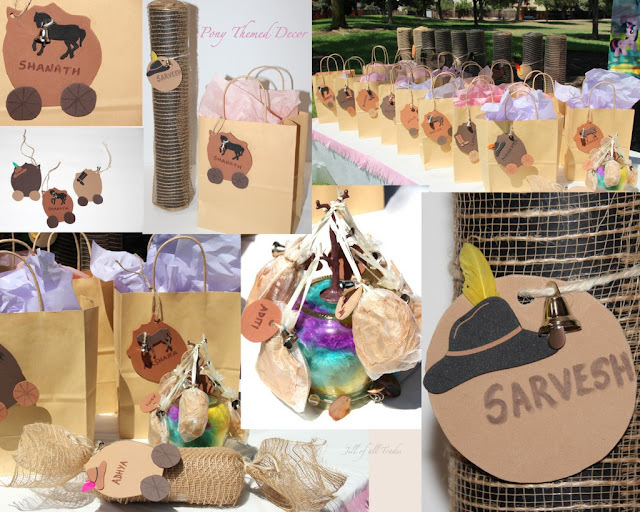 A small gesture to thank the little girl's besties for galloping all the way to her party with something special for every pony. These return gifts were wrapped with jute like natural material and custom made tags were made out of foam sheets, bells and strings. Little carousel goodie pouches and candy like wrapping were other different kinds of wrapping. The host hired an entertainer with his pony carriage, petting zoo, magic show and face painting all in one package. Hence didn't have to concentrate on activities or games for the little pony's. It was truly a pleasant pony adventure party to say the least. Always wanted to go to the next level when it come to decoration, each experience teaches me new lessons that inspires me. I can't Thank You enough for taking your valuable time in reading my post. I love the start to end work in this party, first from decorations till the goodies..Keeping the cow boy hat for goodie is ultimate, as it goes very well with the party. I see its for a girls party, so the goodie u choose different color and you made it with the color paper still maintain the authenticity of girls party..Love the arrangement of the snacks...it is so colorful.Overall great presentation!!! Thanks much Kiru! Appreciate your keen observation and your detailed comment on this post.